On March 23, CityNews reporter Pam Seatle covered a Toronto PEGIDA rally (the “Patriots of Canada Against the Islamization of the West,” which has chapters internationally), opposed by anti-racist protesters incensed at the Islamophobic group rearing its head shortly after the New Zealand mosque massacre. Seatle’s coverage focused almost exclusively on criticizing anti-racists, and in a later-deleted tweet, she said she “felt more threatened by them than any of the so-called ‘dangerous violent racists.’” Mass outrage ensued, and Seatle eventually apologized, as did the senior manager of editorial at CityNews. 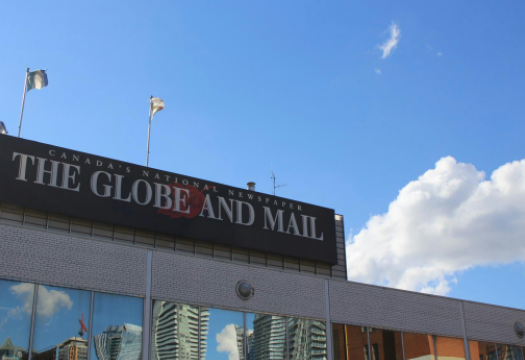 In the days following the rally, Maclean’s published an article by contributing editor Andray Domise, which argued that the vast majority of white journalists in Canada — the majority of Canadian journalists — are cowardly for not opposing racists. Domise’s article was brave, and deservedly viral. However, I disagree with an aspect of the core argument. A coward is someone who knows what is right, but fails to do so out of fear. In other words, in order for white journalists to be cowards for not opposing racists, they’d need to believe doing so would be just. That doesn’t appear to be the case. I’m not calling the majority of Canadian journalists explicit racists, although some fit into this category. Instead, as I’ve written before, there’s a difference between disliking the far right, meaning disagreeing but being willing to tolerate them, and opposing the far right. Meaningful opposition to the far right means supporting, or at the very least not impeding, anti-fascists in their struggle, as their tactics have historically been the most effective at destroying fascism. These are the people Seatle demonized in her coverage. In our current moment, where Toronto police, Ontario’s premier, the leader of the federal Conservative party and Canadian soldiers all associate with white nationalists without punishment, and fascism is on the rise globally, anything short of meaningful opposition to the far right equals complicity. This implicates a vast majority of white Canadian journalists, with notable exceptions such as Mack Lamoureux and Ben Makuch at Vice. So, although Seatle was deservedly criticized, her stance is ultimately unremarkable because it’s so widespread. In November 2017, I published an analysis of commentary from six major Canadian newspapers on anti-fascism vs. fascism in the month after a neo-Nazi killed a counter-protestor in Charlottesville in August of that year. I found that 39 per cent of these articles had a primary focus of condemning anti-fascists. This attack was as clear of an example as you can get of the dangers of fascism, and yet almost half of the journalists opining on it either used the “both-sides” rhetoric United States president Donald Trump was blasted for, or explicitly said the anti-fascists were worse. The further you get from this clear case of fascism rearing its head — for example to supposedly “peaceful” far-right rallies or institutional forms of white supremacy as seen in the police force — the fewer journalists are willing to offer any meaningful opposition. This isn’t new. History has shown that in moments like ours, where the contradictions of capitalism have become unsustainable, capitalists have sided with fascists against socialists. Considering the corporate, almost entirely-monopolized media we have in Canada, it’s no surprise journalists are doing so as well. Anti-fascist protesters also recognize this, which is why you’ll consistently see them either avoid or confront the press at these sorts of protests. Of course, this is where journalists will mention the need for objectivity. In reality, objectivity means complicity with the prevailing ideology. This is as active of a choice as any other, although it’s easier to mask by virtue of its prevalence. Canadian media coverage of Israel, a far-right apartheid state comparable to the white-ruled South Africa of the past, is a strong example of the consequences of this supposed journalistic objectivity. In March 2018, Israeli soldiers killed a Palestinian journalist, and eventually injured seven others. Kevin Metcalfe, then promotions and communications co-ordinator at the Canadian Journalists for Free Expression (CJFE), issued a statement condemning the Israeli government, as the organization had previously done with other states. His decision became a scandal. Metcalfe was fired, the statement was removed, a range of journalists blasted the CJFE, board members resigned and donors threatened to pull funds. In the name of objectivity, Canadian journalists gave cover to a brutal regime murdering other journalists, and mimicked the Canadian government’s own line on the issue. Outside of a few dissenters, this disgraceful response to Metcalfe’s statement received no opposition, because it was regarded as enforcing objectivity or neutrality. So, what does this mean for Canadian journalism going forward? In order for Canadian journalists to take meaningful opposition to fascism, they’d need to stop being cowardly. Yet in order for them to do so, they’d need to believe effectively opposing fascism is the right thing to do. In order for that to be the case, they’d first need to be willing to accept a world where they lose the benefits they currently receive from the white supremacist institutions the far right are trying to uphold and further entrench. This goes beyond a matter of journalistic practice, and into journalists’ political ideology. Judging by past behaviour, any chance of reform is slim. That’s why calls for more diverse newsrooms are important, and yet, without any change in ownership or in positions of power, the potential of diversity will always be limited. In fact, it has already become a meaningless buzzword. I’m not sure what the solution to this widespread problem is, so I can’t help perceive the backlash to Seatle as despair instead of outrage; recognition that these are the sort of people who populate our industry, and there’s little to be done to change that reality. But that doesn’t mean we should stop trying, and do our best to support those who make this effort every day. Davide Mastracci is a freelance journalist based in Toronto, who has previously worked at HuffPost Canada and Vice News.